Here are the details: Tired of towing your RV? Tired of traffic, packing up, and having to ask your boss to leave work early? Stateline is now offering the best deal of the season … the Spring Fling! Come pick out a site, then leave your camper for Spring weekend camping. Includes water, electric, grey water galley, and two honey wagon services. 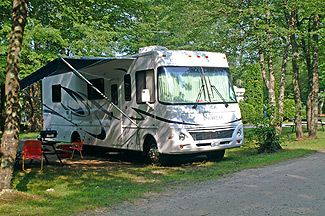 Sites are based upon availability, and camper types and sizes must be approved by management. Stateline reserves the right to move participating campers to alternate sites. Don’t miss out. Sites are becoming limited for this offer! Jack & Jill Parties and more. Please call (860) 774-3016 and ask for concierge services. Limited sites available for this special. Few sites still available. Here are the details: Tired of towing your RV? Tired of traffic, packing up, and having to ask your boss to leave work early? Stateline is now offering the best deal of the season … the Fall Frenzy! Come pick out a site, then leave your camper for Fall weekend camping. Includes water, electric, grey water galley, and two honey wagon services. 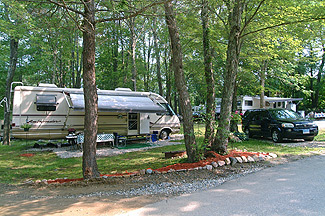 Sites are based upon availability, and camper types and sizes must be approved by management. Stateline reserves the right to move participating campers to alternate sites. Don’t miss out. Sites are becoming limited for this offer! It’s always a GREAT time at Stateline!